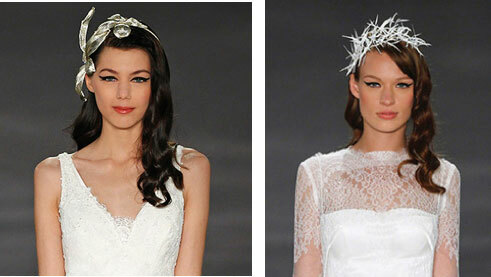 What's better than designers to inspire us of bridal hairstyles? 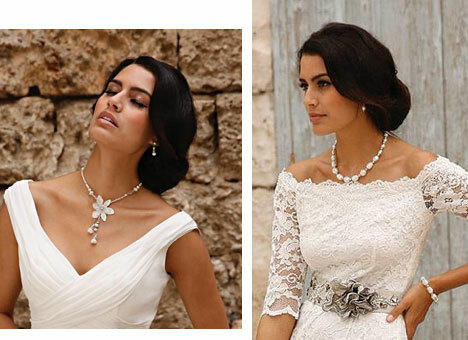 The spirit of their collection is seen on jewellery, accessories and hairstyles. Models strike a pose in the most beautiful dresses. 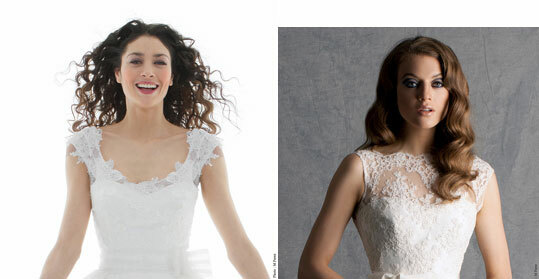 Stylists and creators do their best to enhanced the bride. 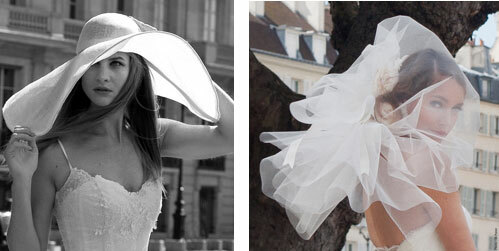 For a shooting session, or for the happiest day of a lifetime, Rosa Clara, Cymbeline and Linea Raffaelli sublimated their brides with specific attention to the hairstyle. Here are various styles done by great designers. Collection Hair suggests you a perfect combination from head to toe. Elegant and refined these two buns play the card of the classic. 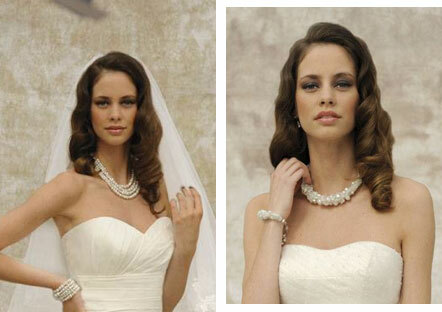 A soft wavy hair up will delight all the guests and seduce romantic souls. 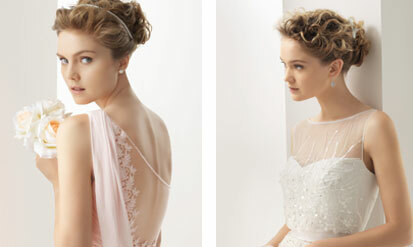 The ponytail rounded and carefully knotted looks like a princess hairstyle. High volume and roundness are in order for this chic and daring updo. Flyaway hair, why not! But well controlled with a touch of glamour. 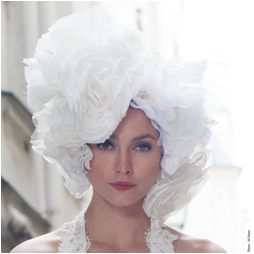 Avant-garde or bohemian accessory, the point of attention is the ornament very fashionable. Let yourself be tempted by a simple and beautiful blow dry! Modernity is given by these wispy and light movements. 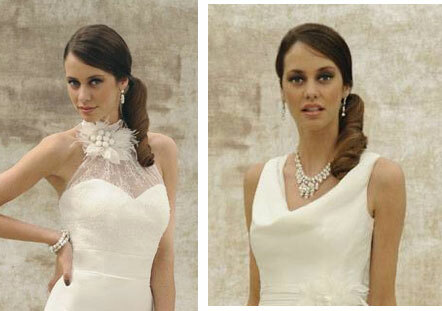 The hair falling carefully on the shoulders and an exceptional headband will prepare the bride to high fashion. ... the curls are sumptuous and the styling is perfect. Hair tied at the back give place to refinement and sobriety. 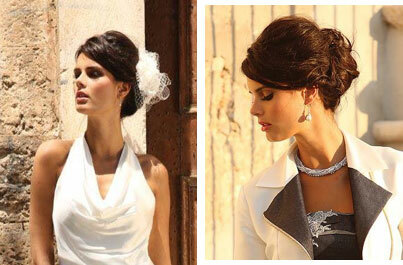 Hispanic style is beautifully performed through this low bun with soft and smooth lines. This natural styling will be loved by its freshness and spontaneity. 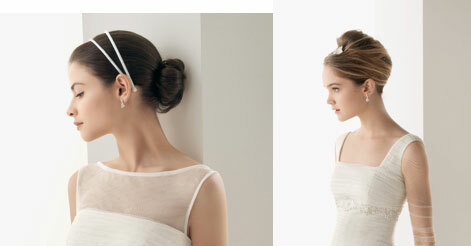 This bun with movement on the side is very easy to wear, with or without accessories.